The number of people who are employed on a contract which does not guarantee them a fixed number of paid hours per week – so-called “zero hours contracts” – was 905,000 in the last quarter of 2016, an increase of over 100,000 compared with twelve months previously, according to the latest estimate from the Office for National Statistics (ONS). What does this say about Britain’s labour market? The issue of zero-hours contracts is particularly intergenerational because – as the ONS data indicate – younger workers are disproportionately likely to be employed using them: 33% of people on zero-hours contracts are aged 16–24, even though this age group only accounts for 12% of people who are not employed using one. This is a much higher figure than for any other age group, according to ONS estimates. It appears that this is the case for two reasons: firstly, almost one in five people employed with a zero-hours contract is in full-time education, which probably makes them value the flexibility that zero-hours arrangements can offer; and secondly, they are disproportionately used by sectors of the economy which employ a generally youthful and temporary workforce, such as hospitality and retail. Who’s afraid of zero-hours contracts? 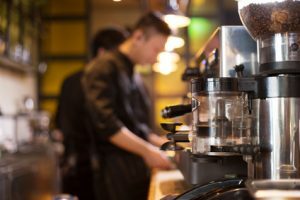 Zero-hours contracts have received a growing amount of attention over the past few years, as they seem to have become symbolic of the precarious and devalued relationship which many workers have with their jobs in the modern service-oriented economy. Only a few years ago, the ONS did not even produce estimates of how many people were employed using zero-hours contracts because they viewed it as such an insignificant aspect of the UK labour market. In 2014 they were the subject of a parliamentary select committee inquiry, and as the Chancellor’s recent Budget speech showed, the subject of people doing intermittent, insecure work in the so-called “gig economy” has become one of the most high-profile topics of discussion within the Treasury. A key question is whether we should treat the development of zero-hours contracts as a negative development for Britain’s labour market, and by extension, for today’s young people who will have to shape their careers in a very different world from the one their parents inhabited. The key point to emphasise here is that zero-hours contracts are still believed to account for an extremely small share of overall employment – just 2.8% of all people in work are believed to be employed on one, and the ONS admits that much of the apparent growth in their use over recent years could simply be attributed to growing awareness of them. As stated above, there is also clearly a large share of people employed on zero-hours contracts for whom the flexibility that they offer is an advantage. However, the key risk with zero-hours contracts is that they become embedded as the dominant form of employment within particular industries, with the result that there is reduced competitive pressure to offer better employment terms, and anyone who wants to go into them has to accept a much higher degree of economic insecurity than they would if they were entering a different industry. The recent shocking revelations about retailer Sports Direct provide the most high-profile example of the situation we want to avoid. Almost one in three people who are employed using a zero-hours contract say that they want more hours of work, suggesting that a sizeable minority of this workforce isn’t on zero-hours contracts by choice. Overall, zero-hours contracts are only a small part of a much wider issue, which was highlighted by the recently released data on unemployment – namely, that the UK’s so-called “jobs miracle” has reduced unemployment to its lowest recorded level since the mid-1970s, but that has been achieved on the back of the (projected) freeze in real wages between 2007 and 2022. In other words, there is a sense in which the British economy is good at producing lots of low-paid jobs, but much worse at creating well-paid work which rewards and enriches the lives of the people who do it. For the generation of young people who are entering the labour market today, the future of work has rarely looked so uncertain.